Estimated 1,500 light years away from planet Earth, lies a tale of two nebulae dancing in the cosmos. 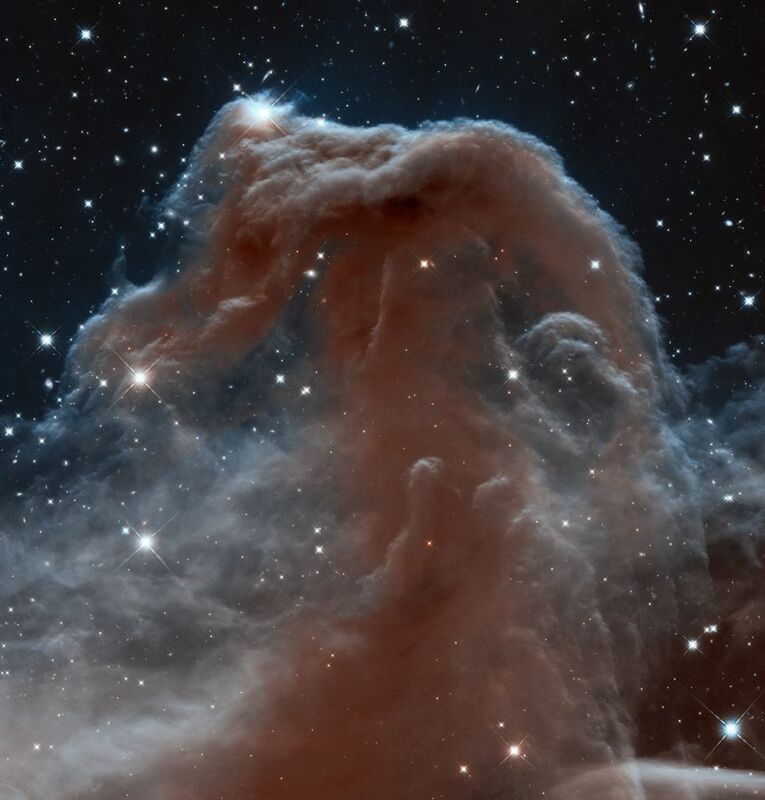 We’ll start with one of the most famous nebulae in astronomy: the Horsehead Nebula. This gorgeous nebula is a dark nebula in the constellation Orion. The red emission nebula behind it acts like a gorgeous cosmic backdrop to show the curves and structure of this hydrogen gas beast. The head itself is about 2 to 3 light years across. In kilometers this would be about 20 – 30 trillion kilometers! On the left hand side you’ll see its partner, famously known as, the Flame Nebula. This nebula is a star nursery for more than 800 young stars. Just right of the Flame Nebula, underneath the Horsehead Nebula, you’ll see a blue reflection nebula reflecting blue light from nearby stars. It may be difficult to grasp the scale in these images but let’s give it our best shot. The image above is about 2-3 light years across, a light year being about 10 trillion kilometers. If we traveled 1 light year from Earth in any direction we would still be in the emptiness of space. We would have to travel 4 light years until we reach the next star, which is Alpha Centauri. Okay so we know a light year is far but not that far relative to the size of the Milky Way (100,000 light years across). 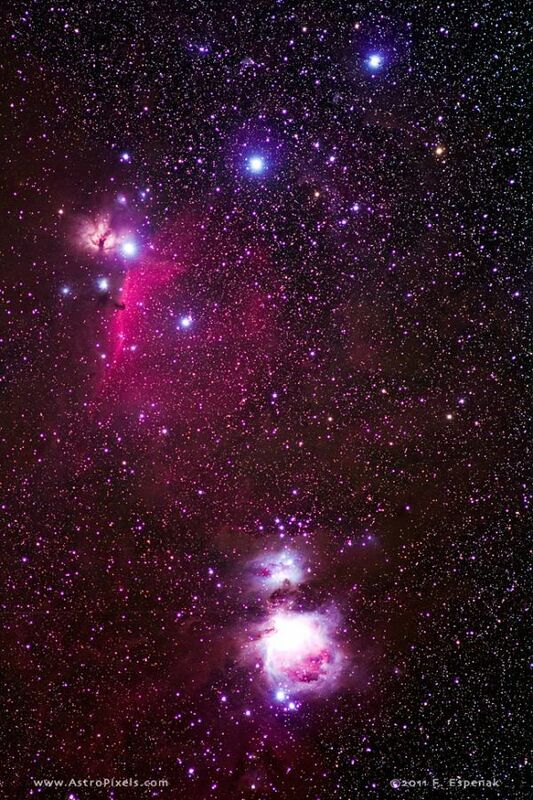 Now going back to the Horsehead Nebula and Flame Nebula photo…let’s zoom out and take a look at the famous cloud complex called Orion Molecular Cloud Complex. For fun, try and spot the Horsehead nebula! Just remember all the images you’ve seen thus far all are within our Milky Way. We haven’t even left our neighborhood yet! How crazy is that?! The image above is one of the largest molecular interstellar gas clouds in our Milky Way. This beast is SO big that it’s actually several hundred light years across! 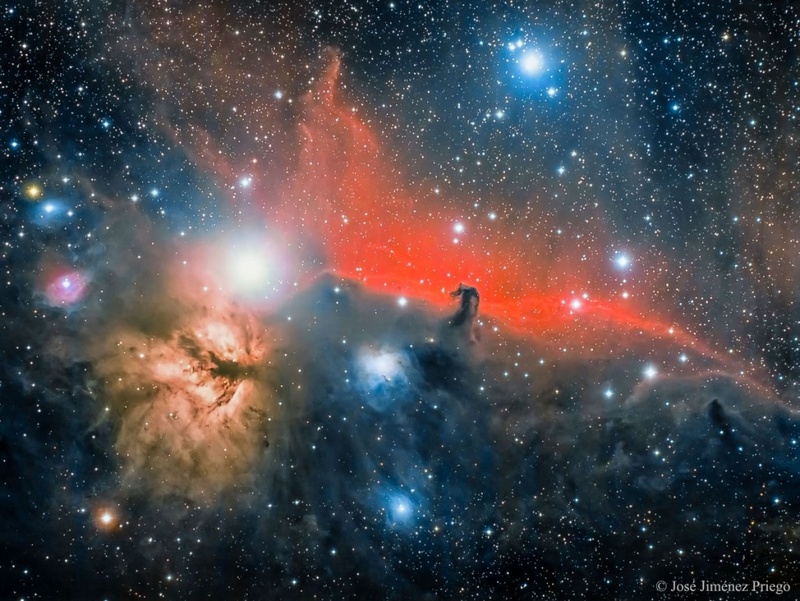 By the way, did you ever find the Horsehead Nebula? It’s hiding almost a 1/3 from the top of the image right near our red / orange light emitting friend the Flame Nebula. It’s quite humbling to see the size of these structures and just the pure majesty of it all. With images from Hubble and amature astronomers there is no shortage of inspiration or wonder in this mysterious universe we call home. Riddle me this: what lives in the cosmos, has a 30 trillion km head, and stays warm next to the flame?